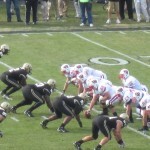 With Purdue leading holding an uninspired 10-6 halftime edge, the Badger and Boiler bands gave rousing performances that provided the most action on the field up to that point. 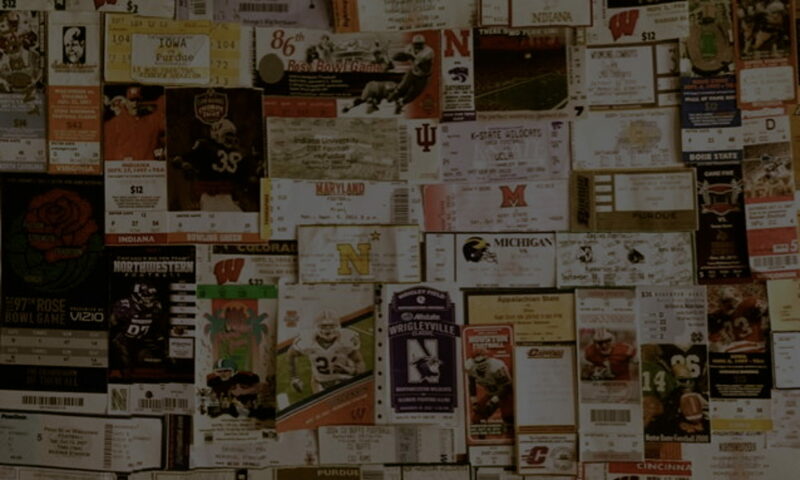 But, the Badgers would take back the spotlight in the second half. 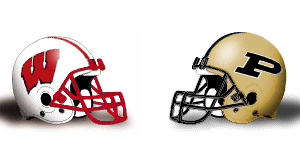 The offensive line for Wisconsin, which is sometimes mistaken for the Sasquatch quintuplets, dominated the front line and allowed backup Montee Ball to break 100 yards and prove once again that the Badgers are never lacking at running back. 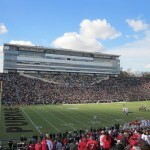 The black and gold partisans truly began to drain Ross-Ade Stadium once an interception returned for a touchdown in the fourth quarter put Bucky safe in the lead. 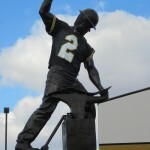 Suddenly, “Boiler Up!” morphed into “Badger Up!” Even though this season has been a struggle for the Boilers, the scene in West Lafayette never disappoints. 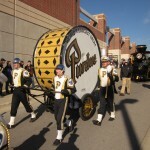 The band marched in proudly before the game with the Boilermaker Special trailing the World Largest Drum. It certainly was enough noise to validate their status as an engineering school. All the bells and whistles came to a hush post game as the team’s file out of the stadium resembled more of a funeral march. Despite their current losing streak, it shouldn’t be long before this proud program Pur”does” what they have to in order to compete again in the Big Ten. 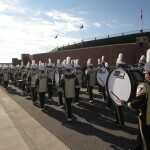 Purdue energy starts the morning. 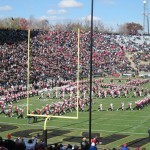 The UW band adds its own electricity. 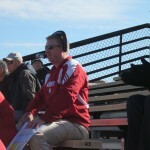 Coach Bielema? Shouldn’t you be on the field? Badgers found their groove in the fourth. Not enough to hammer out a victory today. 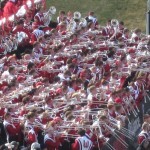 Badger band erupts after a score.